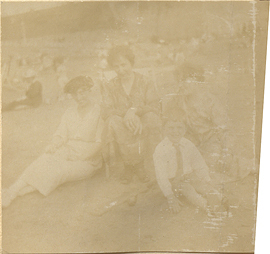 Mr. Burkhardt sitting with Helen Kermott Penfield and Wilder Penfield Jr., photograph. 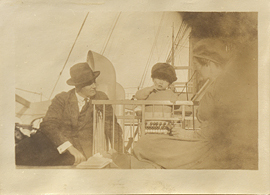 Mrs. Blencowe and her vae, photograph. 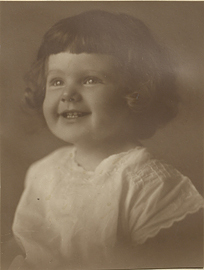 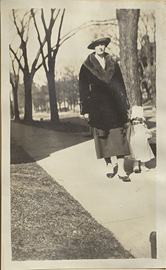 Mrs. Chester and Marian Chester, photograph. 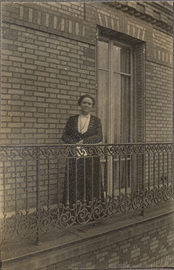 Mrs. Christie standing on balcony in Paris, photograph. 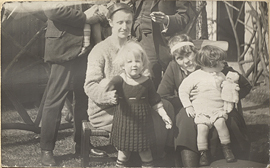 Mrs. Greenfield and Winifred Greenfield, with Helen Kermott Penfield with Ruth Mary Penfield, photograph. 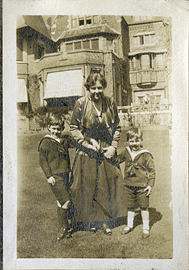 Mrs. Max-Muller and two children in sailor suits, photograph. 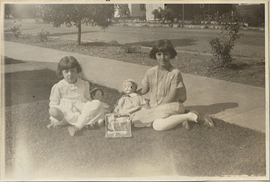 Mrs. Merrill, Mrs. Chester and Marian Merrill Chester, photograph. 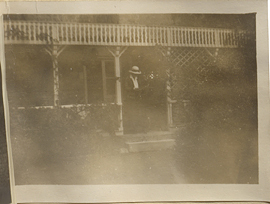 Mrs. Wylie on a Porch, photograph. 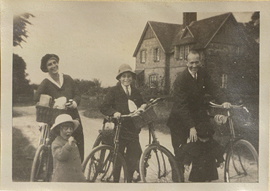 Mrs. Wylie, Kathleen Wylie, Wilder Penfield on Bicycles, photograph. 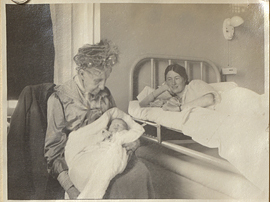 Munificent Gift to McGill, newspaper article. 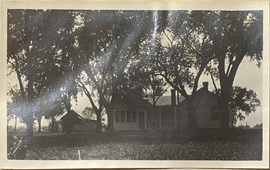 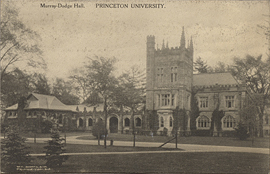 Murray-Dodge Hall, Princeton University, postcard. 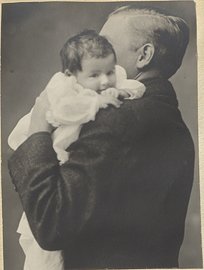 Ned Kermott with Mary Kermott, photograph.